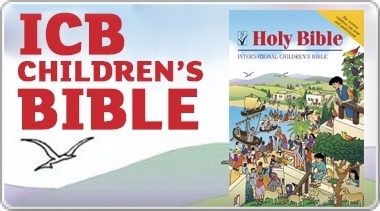 A full text Bible in International Children's Bible? translation in traditional camo canvas cover and just the right size for young hands. Embroidered with a cross, this Bible is perfect for adventerous boys. The cloth binding style offers kids a compact and cool look to carry their Bible to church, school, or on-the-go. It's durable, flexible, and incredibly adventerous for boys of all ages! 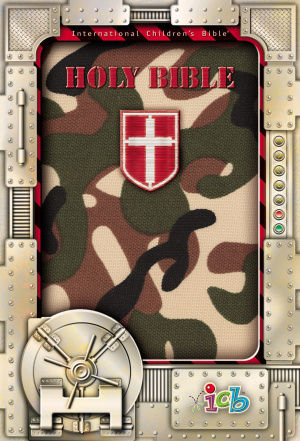 ICB Compact Kids Bible: Green Camo by Thomas Nelson was published by Thomas Nelson in June 2007 and is our 3485th best seller. The ISBN for ICB Compact Kids Bible: Green Camo is 9781400310357. I bought his for my 9 yr old Grandson and was delighted by the cover and presentation box but was disappointed as soon as I turned the cover and found myself squinting at the seemingly impossibly small text. I can't imagine any young child (or adult) wanting to engage with such a small font. Full marks for the cover but needs to come with a magnifying glass. Got a question? No problem! Just click here to ask us about ICB Compact Kids Bible: Green Camo. Is the 'metal' effect border on the picture part of the front cover or is it a box?